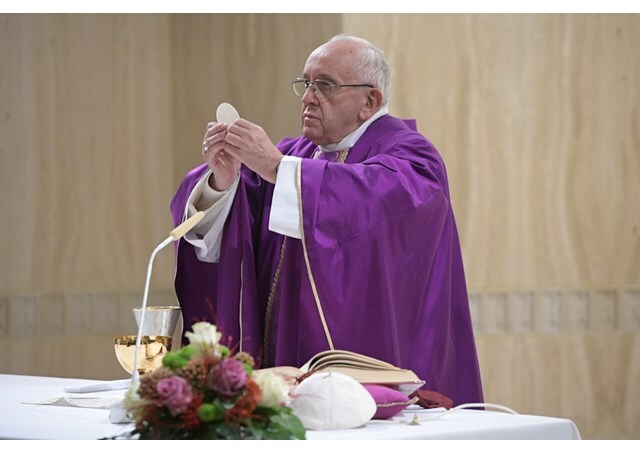 Radio Vaticana: In the life of a Christian, humility is an indispensable quality that is needed in order to allow the gifts of the Holy Spirit to grow. This was the reflection of Pope Francis in his homily at Mass, Tuesday morning, in the chapel of the Casa Santa Marta residence in the Vatican. Drawing inspiration from the Prophet Isaiah, the Pope said that every Christian is like "a small shoot on which the Spirit of the Lord rests, the spirit of wisdom and intelligence, the spirit of counsel and fortitude, the spirit of knowledge and the fear of the Lord ". "These,” the Pope said, “are the gifts of the Holy Spirit which grow from the smallness of the bud to the fullness of the Spirit. This is the promise, this is the Kingdom of God” and "the life of the Christian," he stressed. The Holy Father said it takes faith and humility to believe that this bud, this small gift will grow to the fullness of the gifts of the Holy Spirit. He said, it takes humility to believe that the Father, Lord of Heaven and Earth, as the day’s Gospel says, has hidden these things from the wise and the learned and revealed them to the little ones. Humility means to be small, like the sprout that grows little by little to the fullness of life through the power of Holy Spirit. Pope Francis recalled the example of many saints "who not only accepted humiliations but asked for them" in order to resemble Jesus. The Pope concluded his homily urging that the Lord “grant us this grace to safeguard this smallness towards the fullness of the Spirit without forgetting the root and by accepting humiliation.